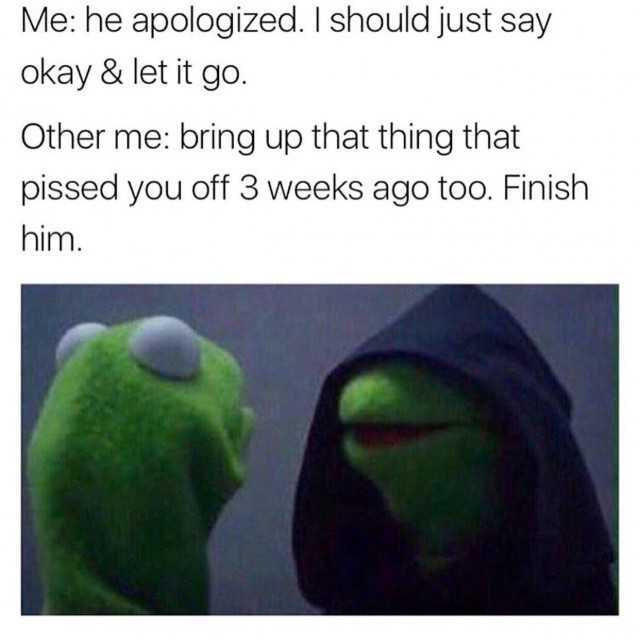 dopl3r.com - Memes - He apologized, evil Kermit says remember that for 3 weeks and finish him!! He apologized, evil Kermit says remember that for 3 weeks and finish him!! Me on bus I should give her my seat shes pregnant. Also Me Nobody forced her to screw around with the guy who doesnt have a car.